Greetings from Boise, Idaho friends! We want to introduce this new, quarterly format where we'll share an industry article that we hope will be a valuable resource for you. We want to help you reach your meeting and event objectives- please let us know how we can help you in Boise! Come discover the Boise you haven't heard about and experience one of our unique local events. Treefort is more than a music festival- it's an event born from the local community, strengthening Boise's music and arts culture. Since its inception in 2012, it has grown to include forts for all fans: music, food, ales, comedy, yoga, film, and more! 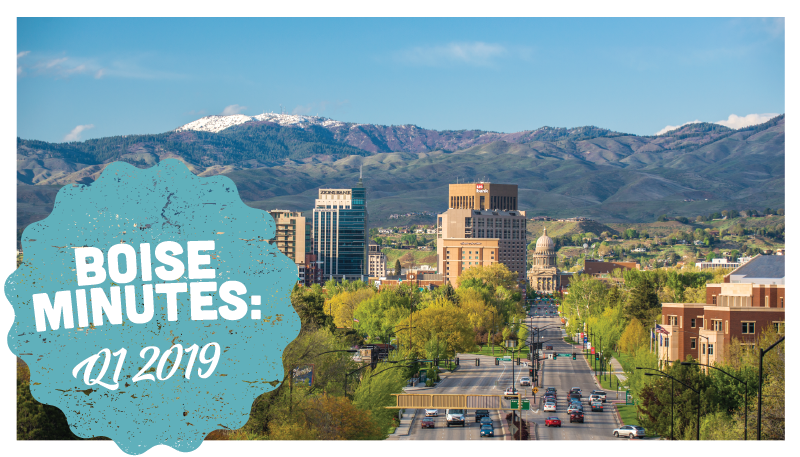 This exclusive experience also includes tours of the Boise Centre, the downtown convention hotels, and tastes of our local food, beer, and wine. Apply today! Other mini FAM dates to be announced at a later date, and pencil in the full FAM experience for July 14-17, 2019! The Boise CVB team would love to help- submit an RFP today!